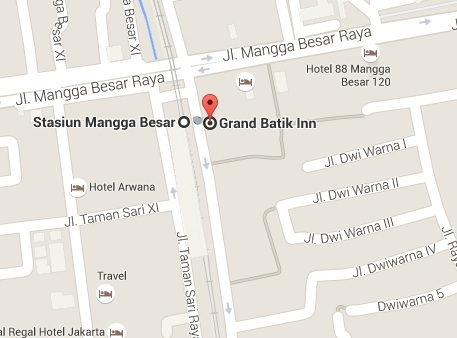 If you need a hotel which is quite convenient, safe, and affordable, Grand Batik Inn may be an option for you. 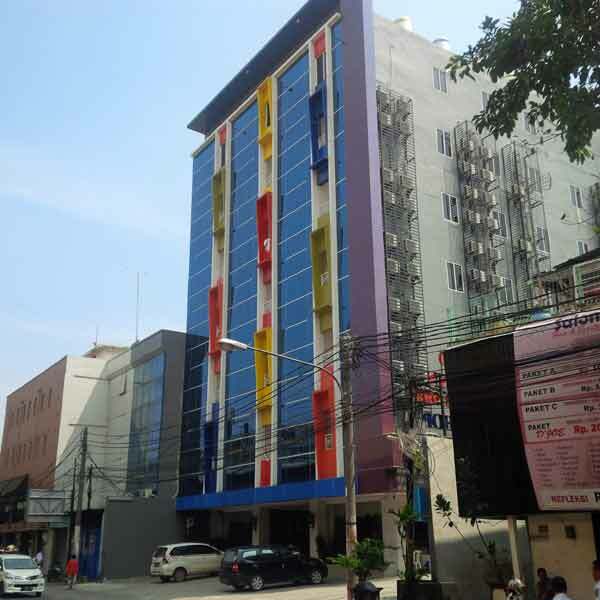 A hotel is located in the city center at Jl. Karang Anyar Utara, Mangga Besar, Jakarta. It’s just a short distance to the Mangga Dua Shopping District. One of the advantages is the hotel is located at the opposite Mangga Besar Station. In addition, by staying in this hotel, you can also enjoy street food surrounding this hotel. The hotel is equipped with Free WiFi access that allows you to stay connected properly. Each room is equipped with air conditioning, a flat-screen cable TV, a refrigerator, a desk. Also private bathroom with shower comes with a hairdryer and free toiletries. From Juanda / Gondangdia / Cikini go to platform 1 and take the Red Line or Blue Line heading to Jakarta Kota and stop at Mangga Besar. The hotel location is just opposite of the station. From Tanah Abang go to platform 3 and take the Yellow Line heading to Depok/Nambo/Bogor and stop at Manggarai. Go to platform 3/5 and take the Red Line or Blue Line heading to Jakarta Kota and stop at Mangga Besar. The hotel location is just opposite of the station. From Sudirman go to platform 2 and take theYellow Line heading to Depok/Nambo/Bogor and stop at Manggarai. Go to platform 3/5 and take the Red Line or Blue Line heading to Jakarta Kota and stop at Mangga Besar. The hotel location is just opposite of the station.